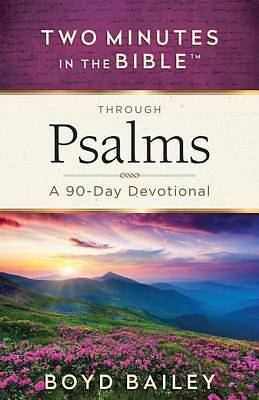 The book of Psalms applies to every facet of life--positive and negative, busy and quiet, joyful and hurting. The words within are always timely, always freeing, and always God-revealing. Take a fresh look at this beloved book of the Bible with 90 thought-provoking devotions accompanied by questions to ponder. Concise yet deep, each devotion takes just a couple of minutes to read while preparing your heart to engage with eternity and enter into the presence of the Lord. The psalms are raw...real...relevant. Soak in their profound truths and let God use them to lead you ever onward in your faith walk--deeper and closer to His heart.